Everyone’s excited about the new iPhone X, iPhone 8 or iPhone 8 plus. If the record sales of the iPhone 7 are any indication, people are eager to buy whatever Apple is selling. The problem is, what do you do with your old iPhone when you’re ready to upgrade to the new one? Most people sell them or give them away, but there’s a lot of private information on your iPhone. You don’t want your data falling into the wrong hands, so follow these tips to prepare your old iPhone to be sold. The process for clearing your iPhone is different depending on whether you still physically have your old iPhone or not. Here are the different methods. The first thing that you should do before anything else is backing up your data so that you can alter transfer it to the new iPhone X/8/8 Plus. You can do this by simply using iTunes or iCloud. iTunes backup: Connect iPhone to PC and open iTunes > Click on device tab > Click on “Back Up Now”. iCloud backup: Go to “Settings > iCloud > Photos” on iPhone to turn on “iCloudPhoto Library”. 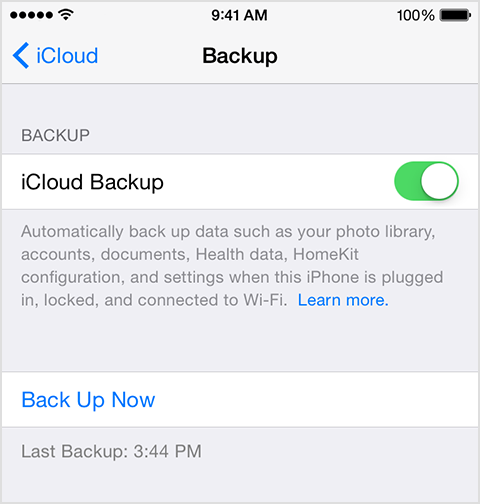 Go to “Settings > iCloud > turn on iCloud Backup” and click on “Back Up Now” to back up the whole things. Next, you’re going to need to sign out of all of your services. ✓ Turn off iMessage: Head to Settings > Messages > iMessages and turn it off. ✓ Turn off FaceTime: Go to Settings > FaceTime and turn it off. ✓ Turn off Activation Lock: Open Settings > iCloud > Find My iPhone and disable it. ✓ Sigh out of iCloud: Head to Settings > iCloud and sign it out. 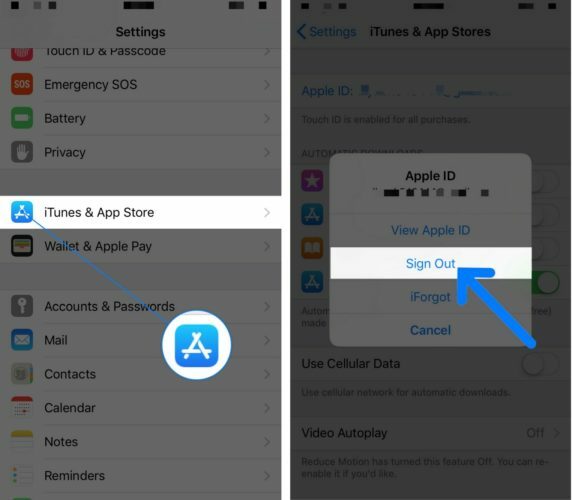 ✓ Sign out of iTunes & App Store: Open Settings > iTunes & App Store > Apple ID > Sign out. Finally, you will want to reset your iPhone to factory settings. You can do the usual restore using iTunes to restore your iPhone, but the problem with this is that your data is still recoverable by special hacking tools. If you want to be 100% certain that no one can steal your data after you have reset your iPhone, then you will need to use a third-party tool that erases data permanently and makes it unrecoverable. One of the best tools on the market for this is iMyFone Umate Pro Win or Mac. 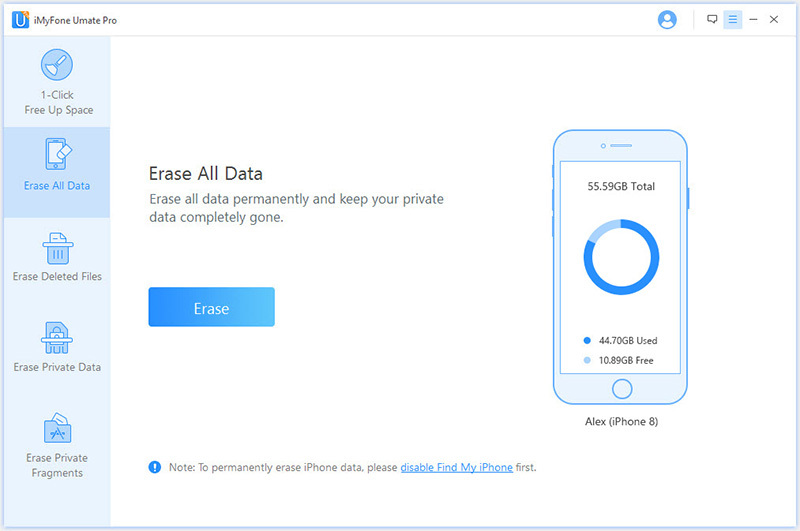 This tool helps wipe all of your private data from your iPhone. Even hackers will be unable to see what you had on your old iPhone. Delete your private data easily and make it unrecoverable. Delete all of the data on your iPhone and make it impossible for people to recover. Erase data that is previously deleted before by hand. Clear junk files with just a few clicks to boost up your iPhone X/8/8 Plus for free. How to completely reset your old iPhone? Step 1. Download and install iMyFone Umate Pro from the official website. Connect your old iPhone to your computer via USB. Step 2. Open up Umate Pro and click Erase All Data. Click on Erase. Step 3. Choose the security level. Type “delete” into the textbox to confirm. Click Erase Now. Now wait while your data is erased. Do not disconnect your iPhone from your computer during this time. Did you have Find My iPhone and iCloud activated on your phone? In that case, you can just remotely delete your data. Sign into iCloud and click on your device, then choose Erase. When it is done being erased, you can remove the device from your account. This is probably the easiest way. 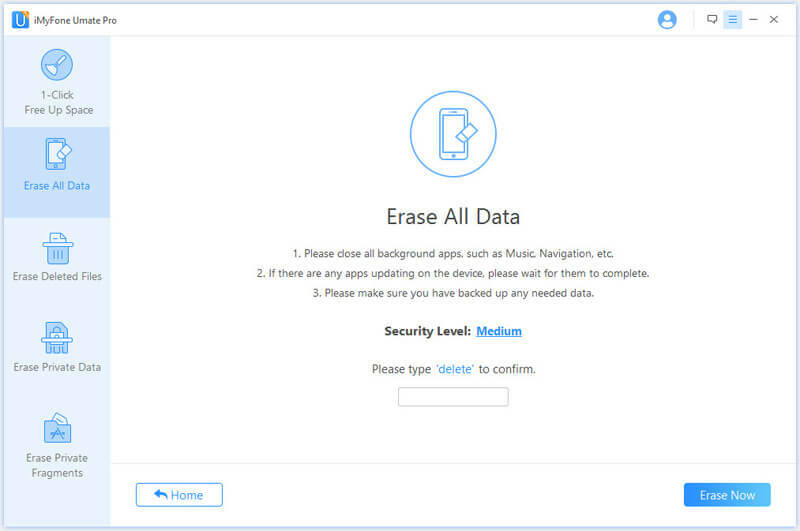 If you can’t erase your phone through iCloud, but you have some kind of relationship with the person who now owns your phone, you could simply ask them to perform a factory reset or use iMyFone Umate Pro to erase all of your data. Should none of the above tactics work, then at the very least you will want to change the password for your Apple ID. This will protect your from someone using your account and from deleting or adding to the data in your iCloud account. However, the data that is physically on your phone will remain. If you’re going to switch to an Android phone or some other brand, then deregister your iMessage. If you don’t do this, but keep the same phone number, it may interfere with your ability to receive text messages. Finally, to protect your identity and keep someone from buying stuff in iCloud using your money, delete your credit cards from ApplePay. You can also remove devices from your iCloud account by going to iCloud.com, going to Settings, clicking on the devices using the account, then removing the devices that are no longer yours. No matter what, make sure that you take all the steps necessary to ensure that you identity and financial information are safe. Your best bet is to use iMyFone Umate Pro if you still have your old iPhone.